Phytonematodes cause significant economic loss to a wide variety of crops by inducing biotic stress to the plant. They cause dramatic changes in the morphology and physiology of the host root system. The damage is difficult to recognize at first sight because biotic stress first begins in the rhizospheric soil and its symptoms resemble as stress caused by deficiency of water and nutrients. Nematode-trapping fungi show very good potential for biological control of plant parasitic nematodes due to formation of trapping structures. Even fungistasis acts as a boon for these fungi where it forms trapping structures directly from the spore i.e., conidial trap (CT), having similar ability to capture and kill phytonematodes as trapping structures formed on normal hyphae. 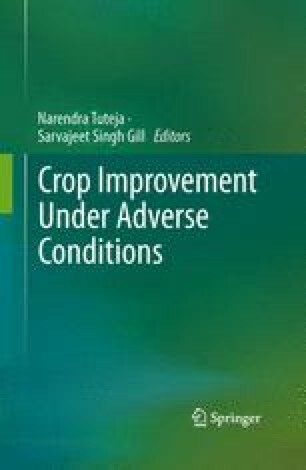 Initial results of these nematode-trapping fungi as good biocontrol agents, were erratic and discouraging because of less understanding of the biology and failure of mechanism of augmentation in the soil. In the last three decades, commercial products of these nematode-trapping fungi have been developed and have shown promising results in the control of phytonematodes. The other advantages of using some nematode-trapping fungi are its mycoparasitic behavior to control some soil-borne diseases and as root endophytes which show resistance against biotic stresses caused by phytonematodes.